During the winter holidays, there is finally time to take the time to play with the children and feel like a child. Turn on magical music, read your favorite fairy tale out loud or arrange a home theater show. Listen to the collection Magic music for reading fairy tales in high quality, absolutely free. You can listen to the whole collection, or separately song by song. 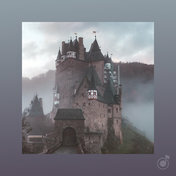 In addition to Magic music for reading fairy tales of the collection, you can find any other one by following the link and get information with the already collected collections and collections of tracks, songs and music.